This Fourth of July, many people will be relaxing with friends and family while enjoying hamburgers, hot dogs, popsicles and all things Red, White and Blue. The highlight of the celebration for most is watching as multi-colored fireworks light up the night sky. Although fireworks are an exciting Independence Day tradition, it’s important to understand firework safety. Leading up to the holiday, you may have seen fireworks for sale. But what are the Alabama fireworks laws? Let’s take a look. What Types of Fireworks Are Legal in Alabama? It’s important to understand that handling fireworks can be very dangerous and even deadly. In 2016, 11,000 people were injured and four people died from Independence Day firework accidents. If you are handling fireworks, it is important to take safety seriously to protect you and your loved ones. Always supervise children who are using fireworks, such as sparklers. To be safe, consider going to a fireworks display that is organized by professionals. Also, be mindful that many small children and pets can be irritated and scared by the many fireworks displays happening in your area. Make sure your pets have shelter inside and provide children with headphones or earplugs during the show. 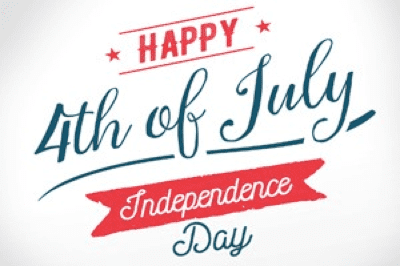 We hope that you have a safe and enjoyable Fourth of July!